Monique: Yumbo! So do I! Quick, give us the recipe! In a mixing bowl, beat cream cheese, peanut butter, sugar and butter until smooth. Add vanilla and mix well. Fold in ½ to ¾ of the container of Cool Whip. Spoon the mixture into the crust and then spread the remainder of the Cool whip on top. Maureen: Yes. Most recently it was a piece of this peanut butter pie since I made one to get a nice picture for all of you. Monique: LOL! And delicious it looks too! Can’t wait to try this pie. Maureen, how important is humour to you? Maureen: Very important. I incorporate it into my everyday and my writing. Life is stressful and serious most of the time, it’s helpful to be able to laugh. I’m drawn to people with a sense of humour. They make living life more fun. Monique: I tend to like the zany types too. How often do you laugh? Maureen: I try to laugh everyday. Either with my family or the people I spend my time with, a good movie or the books I love to read. Monique: Laughter therapy is the best therapy. So, you must like films that make you laugh. Which movie is your all-time favourite? The one you watch so often you know every line? Maureen: This is a hard question, but to choose an all-time favourite, I’d say My Big Fat Greek Wedding. I’m so excited that a second movie is being made for release in March. I can’t wait to revisit this hilarious family. Monique: I do agree that this is a good film. Good choice. Which type of music do you like? Do you have a favourite artist? Does your music tastes ever change? Maureen: I love music. Depending upon my mood, I listen to different types and have a long list of favourite artists. I enjoy listening to metal as much as I enjoy what I’d consider dance music, alternative, oldies and occasionally jazz. The only music I don’t really care for is country, although once in awhile a song will catch my ear. Monique: You’re my second guest who doesn’t like country. How is such a thing possible? I love country… I love Josh Turner… surely, he can turn anyone on to country? Okay, enough about pie and crushes... or is that just me? Tell us about your new release, Maureen. 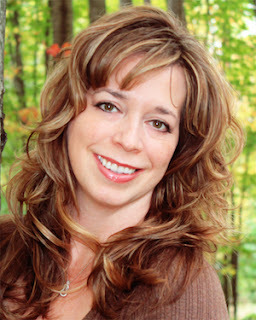 The car accident totaled Sabrina Post’s convertible and reinvented her memories. She can't recall dumping Cole Dawson ten years ago. What her new clairvoyant visions tell Sabrina is he’s her husband. Any practical girl would question her sanity. 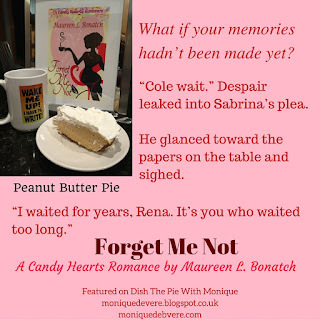 But if Sabrina wants to make this imaginary future a reality, she'll have to regain Cole’s trust and eliminate her rival, the coffee shop waitress who’s pegged Cole as husband #4. To prove she’s foreseen their destiny, Sabrina stirs Cole’s interest by revealing specifics about him she couldn’t have otherwise known. 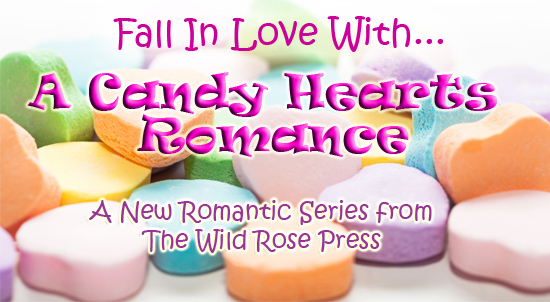 Unfortunately, the one detail he vividly remembers is the pain when she left him and their "rinky-dink" town in her rearview mirror. 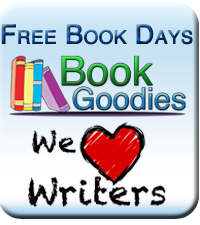 PS Don't forget to enter Maureen's Rafflecopter giveaway for a $20 Amazon Gift Card! Very cool, Pamela. I'll check it out. Fabulous interview - Thanks so much for sharing!!! Great interview and your pie sounds yummy! 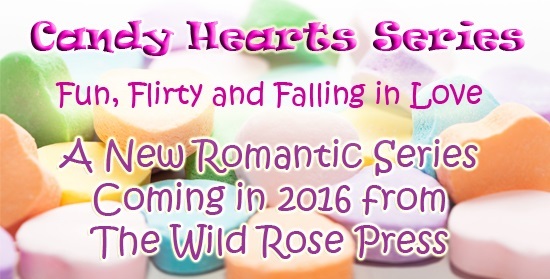 I can't wait to dive into Candy Hearts too, starting with Forget Me Not!! 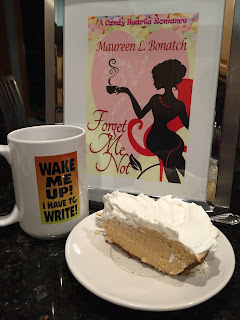 The pie and the book sound yummy! Humor is always a part of my writing--even if it's very subtle. I've ACQUIRED A TASTE FOR SOME country music by living in the country! 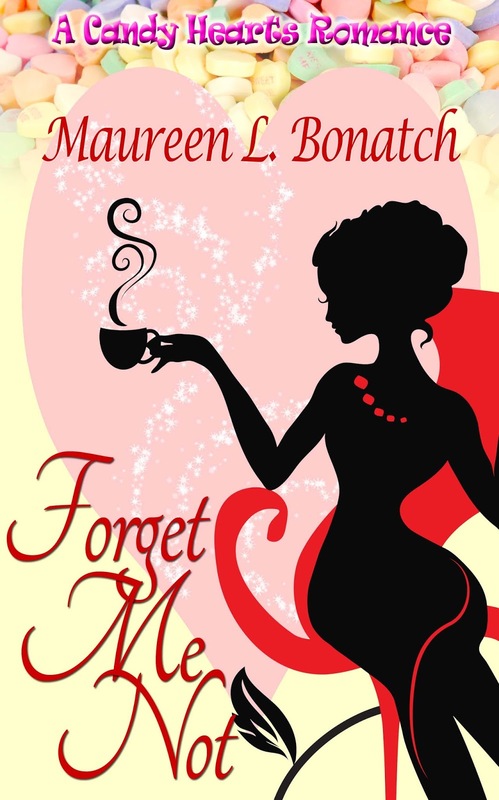 Your Forget Me Not sounds yummy! What a fun interview and I can't wait to try the recipe! I love peanut butter, too. Thanks for visiting! I agree- anything peanut butter and I'm sold! The pie sounds great...so does the book. Best wishes. No worries, Jane. Thank you for visiting!